Bruce Bookman Sensei is the kaicho and chief instructor of Tenzan Aikido in Seattle, Washington and one of the most highly respected aikido instructors in the United States. He became the youngest aikido black belt in America at the age of 15 while studying under Yoshimitsu Yamada Shihan at New York Aikikai in the 1970s, and now runs one of the world’s most successful aikido dojos with student from ages four to 70. 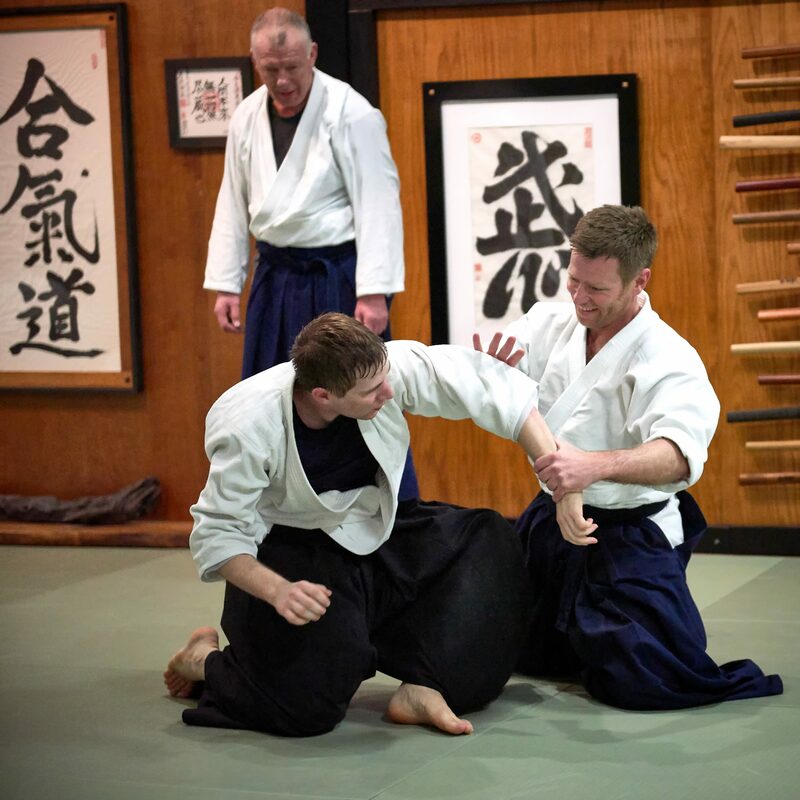 Bruce spoke with Aikido Journal about his unique aikido journey, building his dojo, his cross-training experiences, and his perspective on the future of aikido. This is the first part of the four-part interview, which has been edited for length and clarity. 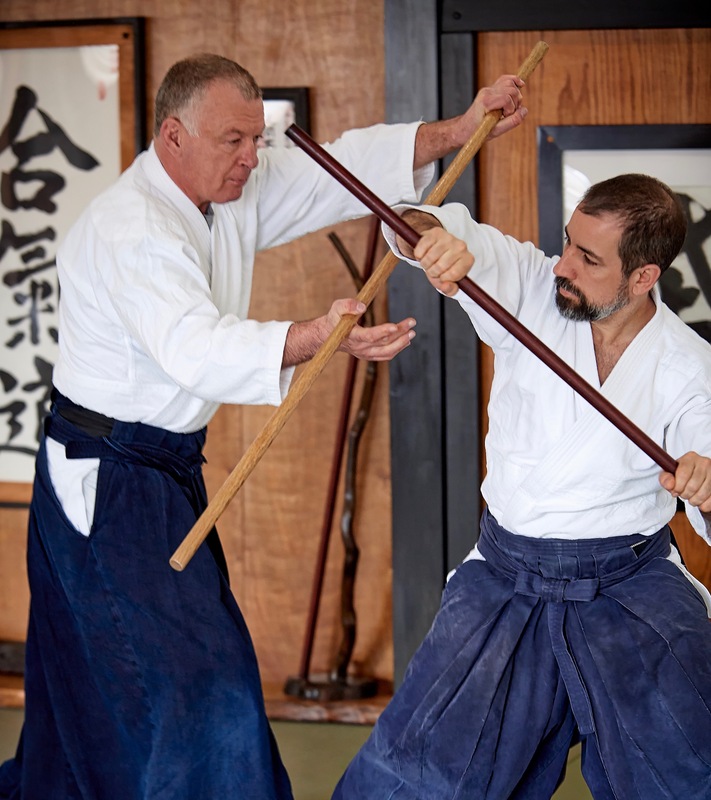 The fantastic photos accompanying this article are contributed by Bill Aquino, who captured these shots at Bruce Bookman’s February 2018 seminar at Aikido Chuseikan of Tampa Bay. Aikido Journal (Josh Gold): I’m very happy to have you here with us today. 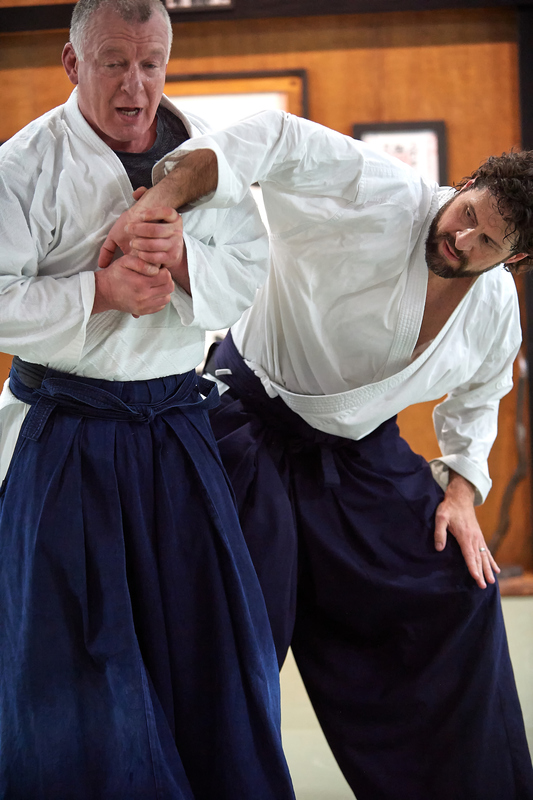 We’ve got a many things we’d like to talk about, but could you start with sharing a bit about your aikido background? Sure, thank you, Josh, I’d love to, but before I start, I’d first like to congratulate you on continuing this monumental task of working on Aikido Journal in addition to your activities at your own dojo. 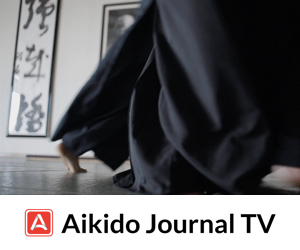 It’s really inspiring to see, and such a service to the aikido community. I’m so happy that we can interact and work together. Thank you. I’m very happy as well to be here. 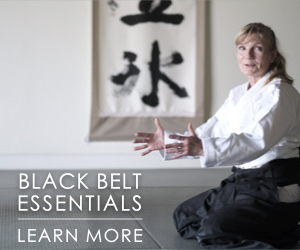 So when did you start practicing aikido? I started in 1970 in New York City at the New York Aikikai dojo. New York is and was a very colorful place at that time, and it seemed that the New York Aikikai was a microcosm of what was going on in society. I had a very troubled youth, and in middle school at the time, and there was a lot of racial tension at my school. I was one of the few Caucasian kids in the school, and there were lots of fights. I was getting beat up a lot and bullied. I was looking for something to help. 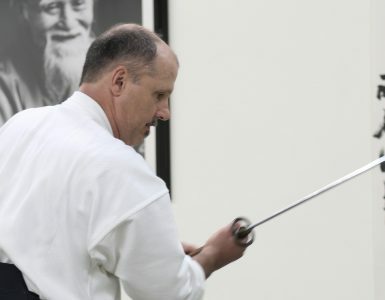 I looked in the yellow pages I found the New York Aikikai, which was a 20 minute walk from my house. And I went there one day, and I met Yoshimitsu Yamada Sensei, who was such a kind man. He was so welcoming. I looked out onto the mat, and I could smell the tatami and I felt like I had been there before. I saw someone doing a forward roll, and was totally absorbed by it. And I said, I have to do this, I just have to do it. So, I went out and got a gi [uniform], I came back, and took a class. I fell in love with aikido then, and that was it for me. And it’s really funny, because since I started aikido, I’ve never been in another fight. Yes. No more problems at school, and it wasn’t that I told anybody that I did martial arts, or frightened anybody, it just stopped. Do you think it was self confidence or you were just more mindful of the kinds of situations or environments you were in? I think that was part of it, and I also started to run my energy differently. I can’t quite put my finger on exactly what it was, but things just started to move more easily. I found a way to relate to people differently, rather than becoming a victim or being antagonistic. It seemed that being in the environment of aikido, and to be learning aikido, helped a tremendous amount. The New York Aikikai was an amazing place. There were so many different “factions” within the dojo itself. You have to take into account the whole atmosphere back then. It was 1970, right after all the stuff going on in the 60’s. You had everything from the women’s liberation movement, to the gay rights movement, civil rights, and people like the Maharaji coming over from the Far East bringing teachings of meditation. You had people experimenting with drugs, psychedelics, trying to have higher level experiences, whether they did it organically or whether they did it synthetically. People were searching. It was during the Vietnam War; there was the Nixon administration and protests. New York was a real hotbed for all of that, and the New York Aikikai really was a microcosm of it all. Everything was represented. Can you give me some examples of how those different things would manifest in a dojo environment? I was one of the few white guys in the class, and because of my problems at school, I thought that if I practiced in with a real tough group of guys, like the guys in the morning, it would be helpful. Their whole thing was discipline and cleanliness and martial effectiveness, and they were very serious. How did they receive you as basically a junior high school white kid? At first, they didn’t like me very much, although I think that Luqman Hakeem always liked me. It wasn’t popular for him to like me, perhaps, or he didn’t like to show that he liked me, but I just got a good feeling from him. And then there was the afternoon class, a totally different group. There were actors and writers and musicians, dancers, and the performing artists. There was a whole different emphasis to their aikido. These were people who were really inspired by the message of O-Sensei, and they were trying to capture something like that. And then there was the evening crowd, that was really the biggest group–just a cross-section of New Yorkers coming in after their day at work for practice. It was a very busy dojo with lots of people. You could run into a fellow like Terry Dobson Sensei there. One of the visiting instructors was [Kazuo] Chiba Sensei, and that’s how I first got introduced to him. I felt the sense that this was something that I could do. As lofty a concept as aikido can be, I somehow thought that there was some place in O-Sensei’s awareness, that allowed Bruce Bookman, 12 years old, from Greenwich Village, to be able to participate in something so esoteric and odd as aikido is. So it was perfect, just perfect, on so many different levels. And how long did you train at New York Aikikai? I trained there for eight years. I was an uchideshi [live-in student] there for a while, studying under Yamada Sensei, and it was a very vigorous practice. Yamada Sensei really is an amazing individual, in that he can run a dojo in such a way that he allows for all kinds of interpretations of aikido within his dojo, and for people to practice in many different ways. He never imposes his own aikido on other people, and yet he does his own thing, which is pretty amazing, and people flourish there. It has its problems, just as any place does, but of all the different things I could have become involved with in New York, I’m really happy that I found the New York Aikikai. After that eight-year period, where did you go? I saw Chiba Sensei at the New York Aikikai when he’d come by from time to time. I was always so blown away by how he moved, and very impressed. He was teaching in London at the time, and I said, “I have to train with you, and I’m going to move to England.” I must have been 17 years old. He said, “Well, don’t move to England, move to Japan, because I’ll be moving to Tokyo.” So I said, “All right, I’ll see you in Tokyo.” And you know how it is when a 17-year-old tells you something like that–I don’t think he really believed me. And then I wound up knocking on his door in Tokyo, and he was very surprised to see me. Did you finish high school first? Yes, I finished high school. By the time I got to Japan, I was just 19 years old. I had done maybe a semester or two in community college. I knew I could have finished college at that time, but I said, “I’m a young guy, I’d rather practice hard now. 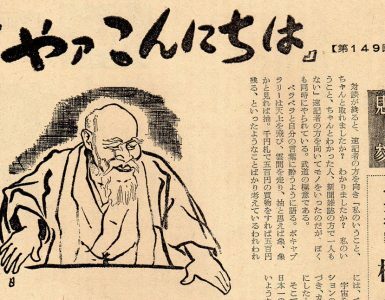 Chiba Sensei’s in Japan, and I can go and study with him at the Hombu Dojo.” I didn’t know how I was going to make a living there because I didn’t have a degree, but I did manage to find some jobs; they were desperate for English teachers. I was very fortunate, and could pay for private lessons with Chiba Sensei. In those days Chiba Sensei only taught one hour a week at Hombu Dojo, and if you wanted to train with him, you had to take private lessons or private group instruction, so I got a small group together. Meik Skoss Sensei was one of the guys, and this other fellow, Jay Dunkelman, who is now a 6th dan was there; the three of us approached Chiba Sensei for private lessons, and he met with us twice a week. Later he combined all of his private lesson groups so we could actually meet with Chiba Sensei three or four times a week privately and get lots of instruction. He’d go on and on. He wouldn’t just limit it to an hour, he’d go all afternoon. And that went on for two years. That’s amazing. Would he run those like a small class? That’s right. We’d line up, and we’d also have other people coming in. Sometimes Miyamoto Sensei, who was an uchideshi there, would practice with us, or Shibata Sensei would come in and practice. Aikido Chuseikan of Tampa Bay-Bruce Bookman Seminar. Occasionally, Yamaguchi Sensei would come in and watch the class, and of course all of us would sit down, Chiba Sensei included. Chiba Sensei would bow very low, and ask Yamaguchi Sensei, “What shall we do today?” He’d say, “Do whatever you want, do whatever you want, just watch your center line.” So, Chiba Sensei was very stern, and then we’d carry on with instruction, and Yamaguchi Sensei would giggle a little bit, and then slowly meander out. That was the best time, in terms of my growth and development in aikido. It was so intense, and it felt so harmonious too. I felt like I was really in a very harmonious way with Chiba Sensei, and it lasted for a good two-year period. I loved the practice at Hombu Dojo. It was a golden era for Hombu Dojo. It was Arikawa Sensei, Yamaguchi Sensei, Doshu Kisshomaru, Osawa Sr., and other greats. They were just amazing. Endo was just getting started teaching at that time, Miyamoto was a young uchideshi, and Shibata and Tada Sensei were there. And the young group seemed really amazing. Moriteru Ueshiba was also training in classes then. 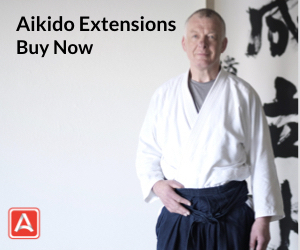 You could practice side-by-side with him in Osawa Sensei’s class, so it was a golden era for aikido–or maybe the end of a golden era–that whole postwar period, up through the 70’s. It was really pretty amazing. 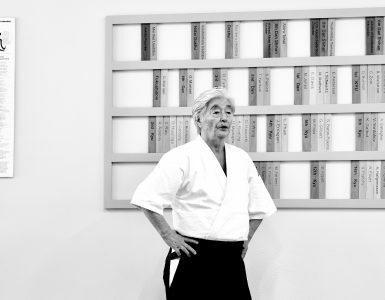 In part two of this interview with Bruce Bookman Sensei in which he talks about his dojo and the things he believes have made it so successful and enduring. Thank for sharing this great interview, looking forward to the following parts. Thanks so much for the Bookman interview Josh. 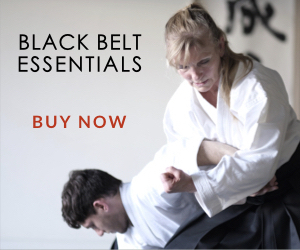 In addition to being one of finest martial arts teachers in the world, he is a treasure of aikido history. – and the greatest aiki story teller since Terry Dobson !! Fascinating read! I met Bookman Sensei briefly at Birankai summer camp in Tacoma last year, love his Aikido, wonderful man. Bruce Bookman has to be one of the most genuine and approachable senseis I have ever met. He and my late sensei Shihan Stickles were close, and I have been very fortunate to have had multiple oportunities to train with him. He and my teacher’s early influences were very similar, yet their individual aikido differs. This is evidence that Aikido is truly an art form as much as it is a study of movement and martial harmony. I was a young guy trying Aikido for the first time. I have profound memories of Bookman Sensei coming back from Japan. Practicing some crazy, soft side ukemi just to warm up. For all the reasons he mentioned of how different the personalities and the time period itself, I didn’t stay. Oh what might have been. Luckily I came back to Aikido years later. Thanks for the comment Richard. You’re probably correct about Maharaji. The spelling used in the article was likely a transcription error 🙂 Great to connect with you here and glad you’re enjoying our work. Looking forward to further parts. I had the pleasure of visiting Tenzan Aikido and training under Kaicho Bookman for a week. It was a dream having owned two of his CDs. I love all these old stories from the elder shihans. Thursday, January 17, 2019 was my first ever aikido practice. I’m 64 years old, and felt I was able to hold my own. I train at Aikido Kokikai Southwest, in Tempe, Arizona. Sensei Nachman and my fellow students are amazing, and very knowledgeable. I see this as a lifelong journey. Thank you, for your article!